Thank you to all of our FLCAN members who participated in the National Call-in Day to Congress! On Monday, February 26, more than 45,000 calls were made to members of Congress from Catholics around the country urging them to find a legislative solution to save the Deferred Action for Childhood Arrivals (DACA) program. 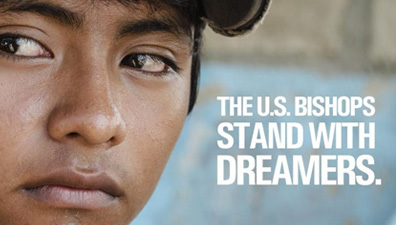 The U.S. Conference of Catholic Bishops asked all Catholics to contact their members of Congress and urge them to protect Dreamers from deportation, provide them a path to citizenship and avoid any damage to existing protections for families and unaccompanied minors in the process. On that same day, the U.S. Supreme Court declined to hear and rule on whether the Trump administration has the right to shut down the DACA program. The administration asked the Supreme Court to rule on a lower court&apos;s decision that blocks efforts to end the program. The Court&apos;s refusal to hear the case means a March 5 deadline imposed by the administration is no longer of any significance and those who currently have DACA status can keep applying to renew permits that protect them from deportation. However, a legislative solution is still necessary to make certain that protection is lasting.